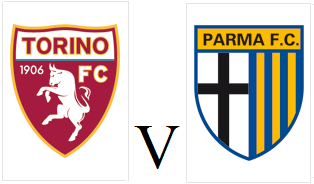 Torino will look to make it consecutive home victories for the first time this season when they face Parma on Wednesday evening. The Granata will be without Marco Benassi and Alexander Farnerud, however Omar El Kaddouri and Antonio Nocerino have both returned to the squad. Parma, who finished above Toro in 6th place last season but were unable to compete in the Europa League after failing to pay a tax bill are in horrendous form and have lost their last five games.